Matthew Sweet introduces six of the deserters whose stories are told in his new book, Operation Chaos, and their often unlikely reasons for going AWOL. 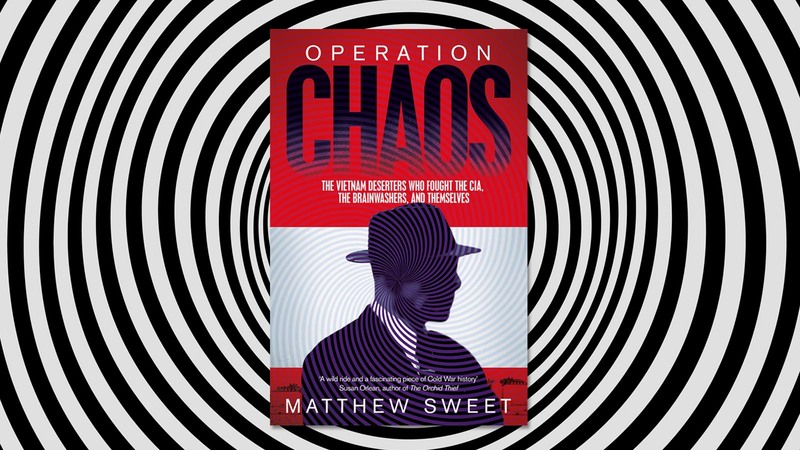 In Operation Chaos Matthew Sweet tells the extraordinary story of the of US military deserters who fled and found asylum in Sweden during the Vietnam War. In this piece, Matthew introduces just a few of the deserters and their –often unlikely– reasons for going AWOL. Operation Chaos is published in hardback and ebook on 8th March 2018. Between 1967 and 1973, around a thousand young Americans went to Sweden to escape the war in Vietnam. Some flew from the States on cheap flights via Iceland. Others drove or hitchhiked from their bases in Germany and Italy. The most dramatic arrivals deserted while on R&R in Japan: small groups smuggled on fishing boats to the coast of the USSR, and brought to Moscow where they appeared on television and were encouraged to tell stories of atrocity – or make them up, if they had none. They came to Sweden because it was the only non-communist country in Europe to offer them humanitarian asylum. But they came for a dizzying variety of reasons. Many left the field of battle after months of soul-searching. Others were running away from disciplinary charges. One came because he was behind on the payments for his Ford Mustang. This was the atmosphere through which the deserters moved. Little wonder that some could never feel sure who was a real friend and who was a spy. Or that, for many, the war seems far from over. Bill Jones was the poster boy of the American Deserters Committee – the man who told the media that the CIA was plotting to kidnap his comrades and who starred as a version of himself in Deserter USA, a Swedish feature film about young exiles tussling with US intelligence men. This radicalism led him on a strange path. By 1973 he was one of several prominent deserters who joined a bizarre political organisation run by the conspiracy theorist Lyndon LaRouche. LaRouche decided that in “the secret brainwashing institutes of Sweden”, deserters had been programmed to assassinate him, Manchurian Candidate style. Today, Bill remains as LaRouche’s Washington Bureau Chief, and is sometimes to be spotted on the live feed from White House press conferences. Among the principal tenets of the organisation: that Her Majesty the Queen is plotting to bring about World War Three. When “Chip” Gaddy volunteered for the Army, he scored the highest aptitude for languages the examiners had ever recorded. He was quickly assigned to the Army Security Agency — the branch of the U.S. Army that dealt in intercepted enemy communications. But in early 1969, he deserted, for the odd reason that he hadn’t been sent to the language school of his choice. He immediately became a key member of the American Deserters Committee – and stuck with it as was absorbed within the cult-like LaRouche organisation. He and his wife Kerstin were running its Swedish branch as it produced a slew of literature that attacked Prime Minister Olof Palme with such intensity that, when he was assassinated in 1986, they became persons of interest in the case. Despite this controversy, Gaddy enjoyed a quick ascent to a senior fellowship at the Brookings Institution, where he wrote a highly regarded book about Vladimir Putin. His co-author, Fiona Hill, is now President Trump’s senior advisor on Russia. Here’s a video of Cliff arguing that the way to understand Putin’s behaviour is to remember that he is a trained intelligence officer. One Saturday morning in May 1967, Pvt David Kinnaman from Indiana walked quietly into Bangkok, sold his mattress and his Army boots, and with $100 in his pocket, crossed into neighbouring Laos under a new identity: Steve Johnston, a Canadian backpacker. He had turned against the war by degrees, but the last came when a friend described processing a radio message about US air raids on Cambodia; raids that the government insisted were not taking place. “I felt,” he says, “like someone had slapped me awake.” After several near misses with the authorities he used a false passport to fly to Sweden, where he lives to this day. His identity bears the mark of that decision. He is David Kinnaman to the Swedish tax system, but Steven to his friends and his children, who include two of Sweden’s biggest acting names – Melinda Kinnaman of My Life as a Dog, and Joel Kinnaman, star of Robocop, Suicide Squad and House of Cards. A teenage marine from Long Island who was awarded one of the US military’s highest honors after being wounded during the 77-day Siege of Khe Sahn. Shortly after leaving hospital, and still, in all likelihood, suffering the effects of Post Traumatic Stress Disorder, Ray fell in with a Japanese anti-war group who spirited him away on a fishing boat to the Soviet Union. Ray claimed asylum in Sweden, but soon regretted his decision. He gave himself up and returned to the USA for a court martial, and was sentenced to twelve months hard labour. Today he lives in Long Island, New York, and suffers from Parkinson’s disease and dementia. 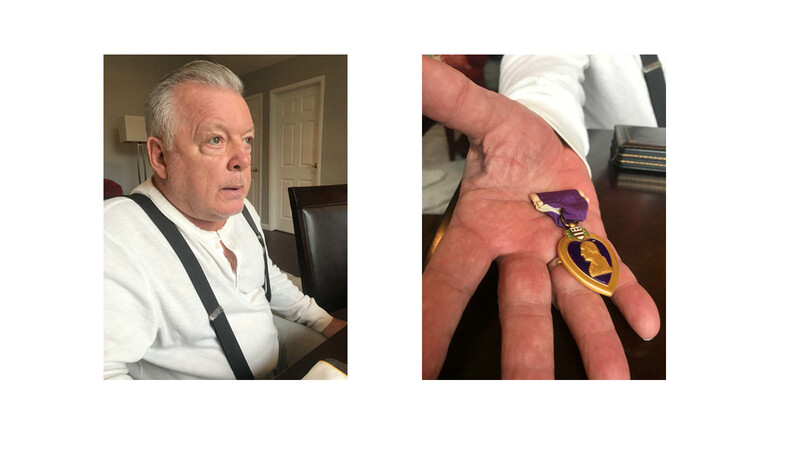 Among his proudest possessions are his Purple Heart and a certificate from President Gerald Ford, granting him a full pardon. But his deserter status disqualifies him from receiving any benefits – unless he can prove that he was of unsound mind at the moment of his desertion. That, today, is his battle. Photos (clockwise from l-r): Ray Sansiviero in Long Island, February 2018. Ray Sansiviero's Purple Heart. 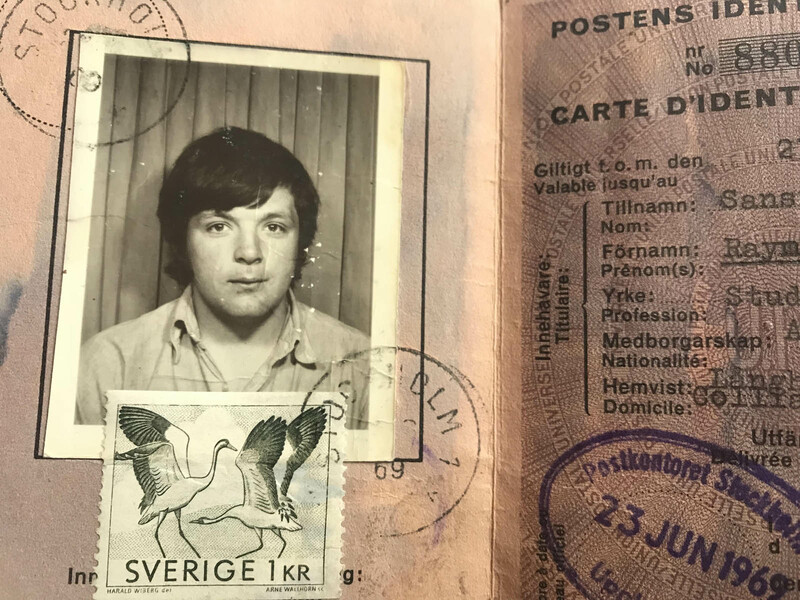 The identity card Ray Sansiviero was given upon arrival in Sweden. All photographs copyright Matthew Sweet - Feb 2018. Air Force pilot who ran bombing raids over Vietnam before absconding to Sweden in early 1969. Having made himself disappear, he then did the same to large amounts of other people’s money, aided by his killer charm and disarming resemblance to the film star George Hamilton. (He could, reported a former associate, “sell voodoo dolls to Catholic nuns.”) After his Swedish interlude he returned to the United States, where he ran penny stock frauds in collaboration with the New York Mafia and founded the Laser Arms Corporation, which made millions by selling worthless shares to investors who thought they were buying a stake in the future of ray-guns and self-chilling beverage cans. When he deserted to Sweden in 1968, 21 year-old Army private Gregory Vitarelle caught the attention of the Italian film director Carlo Ponti, who commissioned him to write a screenplay about his experiences. He never completed it. In July 1969, he drowned in a boating accident. His family back home did not acknowledge his new life. The headstone placed on Gregory Vitarelle’s grave bore the single word, “Vietnam”, implying that he had died in combat. Operation Chaos by Matthew Sweet will be published in hardback and ebook on 8th March 2018. Watch the trailer for Operation Chaos here.